Mid War Federal "tarred"Potter Contract Philadelphia Depot haversack. Copied from an original in a private collection. 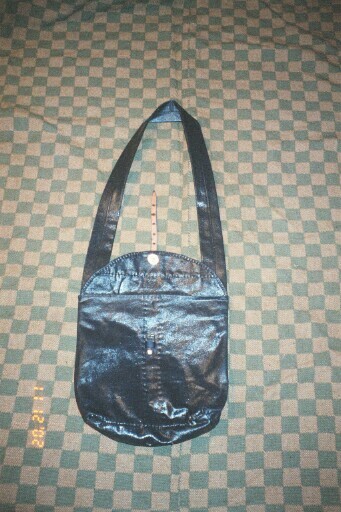 Bag is completely hand sewn, 44" machine sewn strap (per original) and leather riveted strap w/ Potter Contract stamp. Potter was one of the largest contractors for haversacks up untill 1864. This haversack is good for the 1862-1864 time frame. 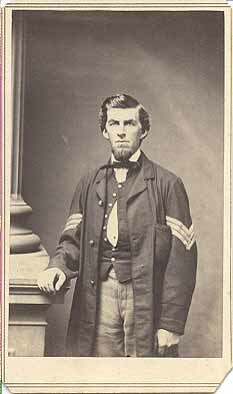 Copied from an original in a private collection and another in the West Point collection. Features a 1 piece bag partially machine and hand sewn per original. Machine sewn 40" strap, leather tab hand sewn on. Inner bag held in by three tin buttons. Copied from an original in a private collection. 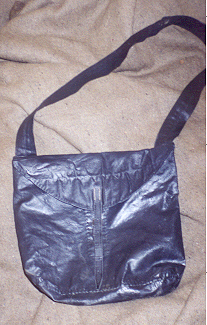 Features an all hand sewn bag, machine sewn 44" strap, hand sewn leather strap. Inner bag held in by 3 tin paper backed buttons.